Being that it is Halloween time, I am going to try to read a vampire novel. I have been afraid on vampires since I was a kid and my aunt let me watch Salem’s Lot. I slept with my neck covered until about two years ago ( when the hot flashes started). My friend and fellow blogger, Marie (Athena’s Mum) has written a trilogy of vampire stories. I have enjoyed all her cat themed books so I am sure these will be good too. If you are interested, you can get the kindle edition of Poet’s Blood for free right now. Click here. 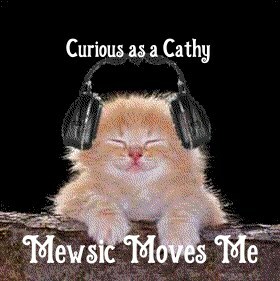 The Mewsic theme for this week is songs with hand claps and finger snaps. I couldn’t think of any with the finger snaps, but I have 3 with hand claps. And here are Brody and Trouble. I am so happy that Brody has a friend, she even cleans his ears for him sometimes. 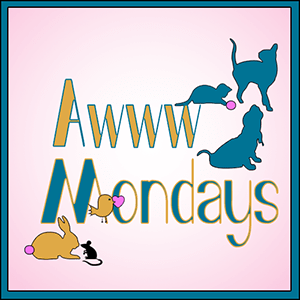 This entry was posted in Blog Hops, Book recommendations and tagged Awww Mondays, Book Date, Brody, It's Monday! What Are You Reading?, Mewsic Monday, Trouble by pilch92. Bookmark the permalink. Well we like all those songs. Great picks. Great picture of Brody and Trouble. That is great that they are friends. You all have a wonderful day. All of Marie’s books are on my to-read list. I bet they will all be incredibly enjoyable reads. And I would have had a lot of trouble with this week’s music challenge. I don’t think I can even think of one clapping or finger snapping song off the top of my head. And, of course, this photo of best friends Trouble and Brody makes us so happy! Vampires used to scare my Mom too…..! You found some good hand clap music (Mom says anyway!). Makes me VERY VERY happy to see Brody and Trouble together – everybody needs a friend and Brody wanted that from the beginning when he arrived at your home…….YAY! The children’s song naturally was the first tune to pop in my head. I’m glad to see that you incorporated in your picks today. That’s just sweet! Oh yeah, thank you for the heads up on your blogger friend’s free Kindle book. I downloaded it. I’m horribly slow with reading anything but I am trying to get out of that funk that’s been with me for years. Some great selections. I am a little too old to appreciate Sesame Street, but I loved the Steve Miller Band and Boston put out some great sounds. Nicely done for a Music Moves Me Monday. Have a blessed week. Thank you. I hope you have a blessed week too. The mom usually doesn’t like to read scary books but she has read all the Ann Rice vampire books and they were really good. Great song selections! I have enjoyed many vampire series. ~grin~ Thank you for sharing the free read! I’m sorry that movie scared you so. It is cute to imagine you sleeping with your neck covered. Boo on hot flashes and night sweats! And hurray for kitty friendship! Darn hot flashes. I think you will like Marie’s book. Also, we thought of Stevie Wonder who did this when he was only 12 years old. Happy Monday to you and yours! Awww, it’s always good to have a friend. Especially someone that will clean your ears sometimes. Love all the videos. I’ve got one stuck in my head now. Can you guess which one? Thank you 🙂 I hope you had a great day too. Glad to know Brody and Trouble are pals now. No fun being alone. I do hope you enjoy your vampire book. Vampires and werewolves are some of my favorites to read about. Come see my week here. Happy reading! Good for Brody & Trouble – taking care of each other. I am glad they are friends. Salem’s Lot gave me nightmares for years too!! Glad to see Brody has a friend! I used to love vampire books. I’m not sure how I got away from them. Poet’s Blood is still free so I downloaded. Looks good. Brody and Trouble are so cute. I think you will like it, she is a good writer. Beautiful songs. Loved all of them. Very nice job. Its funny vampires kind of put me off when I hear the word then I was counting up the books I have read with them in and I have read some so I guess not so bad! We love your song selections! I have never been able to read scary books or watch scary movies. It was the movie Amityville Horror and the book Cujo that did me in! Thank you. I would not be able to read those. Have always been a fan of both Boston and Steve Miller! Good music today! I hope you enjoyed those books. Great music and Sweet photos. Thank you for sharing and enjoy a terrific week! Thank you. I hope you have a great week too. Vampires are not my favorites, either. Oscar’s version of the song, “If You’re Grouchy and You Know It,” is lots of fun, too. Hooray for cat friendships! Makes life with several of them easier if everyone has at least one buddy. Vampires can be scary. We hope able to get through the whole novel. Great selection of songs. We love Boston. Brody, you will have fresh ears now, because of your wonderful friend. Thanks for the share. Have a great rest of your week. Thank you. We hope you have a great week too. If I get into vampires, I will check it out. Those were good tunes and maybe they will keep the vampires away! We love how Brody and Trouble are besties! I did not know I could be so happy until my furrend Ninja came to live here. Ninja feels the same way! His Dad says he is a much happier cat! I am so happy for Brodie and Trouble. And we LOVE all 3 of your songs! Mom LOVES them all and we LOVE to read. Mom is reading a plethora of books right now. Am I first again? Definitely the last song. TW still sleeps with her neck covered cos she’s afraid I’ll attack her. I’ve gotten her shoulders in the past. Pop’s fave all-time show was Buffy the Vampire Slayer. Thanks so much for including it! I did Steve Miller’s “Take the Money and Run” too. That was one of the first hand-clap songs I thought of. I remember trying to get that hand-clap right all the time. It’s tricky! And hey, ya can’t ever go wrong with some Sesame Street! Awww, I am happy for Brody and Trouble, too. EveryBODY needs a friend. Mom and Dad have watched many many vampire movies and TV shows over the years. Mom also likes the Anne Rice vampire stories. She hasn’t yet read Miss Athena’s series, but hopes to find time to. It sounds like Brody and Trouble have become good pals. They are lucky to have each other. I try to be pals with the neighbor pussycat, but she always plays hard to get and hisses at me through the window. Winks. Vampires scare me too, but I can enjoy a good zombie book or movie. (On a unrelated note, it makes me wonder why I didn’t pick The Addams Family theme. Oh well). Considering how much I love Boston, I forgot this song had clapping. And, there is always room for a classic children’s song. Hope you are having a great week! Thank you. I forgot about that song too, it would have been perfect for the season too.